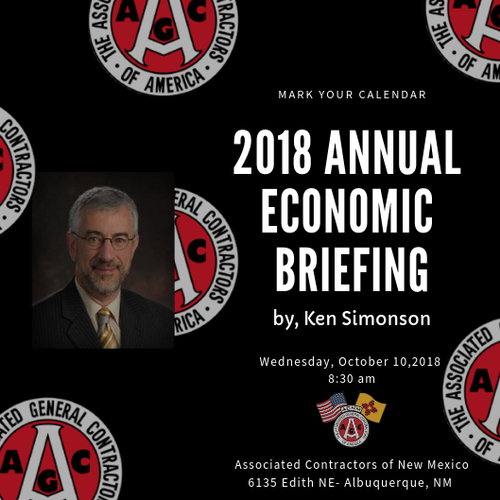 Since 2001, Ken Simonson has been the Chief Economist for the Associated General Contractors of America (AGC). Each week he shares economic insight, with an emphasis on the impact to the nation’s construction sector, through his newsletter “The Data DIGest”, which goes out to over 47,000 subscribers. Before joining AGC, Mr. Simonson was a senior economic advisor in the U.S. Small Business Administration’s Office of Advocacy, as well as the Vice President and Chief Economist for the American Trucking Association. He has also worked with the President’s Commission on Industrial Competitiveness, the U.S. Chamber of Commerce, the Federal Home Loan Bank Board, and a private economic consulting firm. Ken was elected the 2012-2013 President of the National Association for Business Economics, a national organization comprised of professionals working in the field of Economics. He has also served as an appointed member of the Census Scientific Advisory Committee and the Bureau of Labor Statistics’ Data Users Advisory Committee. With over 40 years of experience in his field, Mr. Simonson is considered an expert in analyzing, advocating and communicating various economic and tax issues. Ken received his BA in Economics from the University of Chicago, and earned an MA in Economics from Northwestern University. In addition, he has taken advanced graduate courses at the Université de Paris, Johns Hopkins and Georgetown Universities.